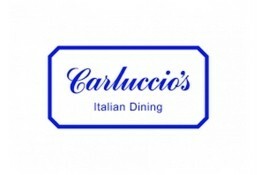 Carluccio's is currently closed for delivery and it will open at 11:00 AM today . Quinoa salad with baby gem, orange, strawberry, raspebbry, avocado, caramelized hazelnut in lemon mustard dressing. Grilled Vegetable Salad tossed with balsamic dressing. Tomato and buffalo mozzarella cheese, calamata olives, basil leaves and rocket leaves with a touch of pesto. Italian spicy beef salami, mixed peppers, mozzarella, chilli flakes, and oregano Perfect if you like it hot!